The tickets were costing at $1,599 similar to the two earlier conferences. However last year, the tickets lasted for 12 hours, whereas in 2010, they lasted for as long as eight days. The Apple Worldwide Developers Conference (WWDC) is a conference organized every year in California by Apple Inc. It primarily showcases Apple’s new software and technological advances for developers and also offers hands-on labs and feedback meetings. Around 2,000 to 4,000 developers participate in the conference. The attendees should sign a non-disclosure agreement about the meetings and other material given at the WWDC. Earlier the keynote was covered by the NDA but in recent years it is webcast to an audience other than only developers. So also, till 2002 WWDC was not the place for announcements, but in 2002 the tradition was stopped by Apple by announcing the rack mounted server Xserve. Also in 2003 it announced that Apple Computer would begin the transition of their computers from PowerPC microprocessor line of IBM to x86 processor line of Intel. And in 2006 WWDC, Xeon-based Mac Pro and Xserve were launched. Exclusively Apple-registered developers can participate in WWDC. However the entry bar is quite low i.e. programmers had to pay only $99 for an annual membership to Apple’s developer program, Cupertino, Calif and there aren’t any other eligibility criteria. However scalpers will irk this time as Apple has prohibited resale of tickets. Scalpers used to make thousands of bucks by reselling tickets on Craiglist and eBay for $2,125-$4,599. Though Apple has not yet announced the agenda, it has announced that developers will learn regarding the future of iOS and OS X, permitting them to create incredible new apps. An obvious thing was also declared by Apple that the conference will focus on Mountain Lion which is for OS X developers. The company has also promised to bring upgrade in late summer. This year’s WWDC has one more facet. 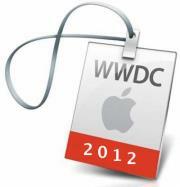 It is the first WWDC after the death of Steve Jobs, the former Apple CEO. In the last year’s event, Jobs, who was ill of pancreatic cancer and was on medical leave, had specially come for the opening day keynote to launch OS X 10.7, i.e. Lion. Looking at this tradition, the current CEO Tim Cook will probably lead the keynote this year, which is expected to occur on Monday morning on 11th June, to start WWDC 2012.